About - Stephen M. Pfeiffer, Ph. 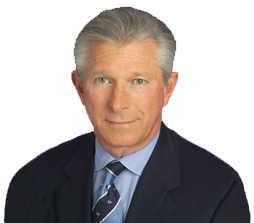 D.
Stephen M. Pfeiffer, Ph.D. has practiced as a clinical and consulting psychologist for more than three decades. His undergraduate degree from Cornell University’s School of Industrial and Labor Relations provided a solid foundation for his work with both organizations and individuals in and out of the workforce. His Master’s degree from New York University helped to further shape his approach and understanding of how people change their beliefs and learn new behavioral patterns. His Doctoral training program at the California School of Professional Psychology provided the clinical tools to both effectively evaluate and perform constructive interventions in the lives of individuals struggling with impairments in their ability to function in both the workplace and in their everyday lives; as well as with organizations performing at less than optimal levels. His clinical practice has had three main focuses: 1) individual and relationship therapy, 2) medical-legal evaluation/consultation, and 3) organizational consulting with corporate clients. In addition to his role as a professional psychologist, Dr. Pfeiffer has served in a number of administrative capacities during his career. As the Executive Director for the Center for Transitional Studies, he provided training and workshops to members of the military and their families on matters dealing with deployment separation and its impact on marriages and the family. As the professional director of the Center for Executive and Professional Development, he created training programs for corporate executives to enhance interpersonal skills, more effective team performance, and executive screening services. Dr. Pfeiffer was the Executive Director of the Association for the Advancement of Psychology for 16 years, having previously served as a member of its Board of Trustees and as its Newsletter Editor. For three years he served as a consultant to the American Psychological Association Practice Directorate’s Government Relations Department on matters pertaining to federal advocacy for psychology. Dr. Pfeiffer participated in the governance of the Academy of San Diego Psychologists, serving in several capacities, including President. Dr. Pfeiffer was elected to the Presidency of the California Psychological Association and began serving on the Executive Committee of CPA in 2014. He has received national recognition for his professional contributions to the profession of psychology. As the recipient of the American Psychological Association’s (APA) Karl Heiser Award in 1997, he was recognized among a small number of those psychologists who have advocated to define the discipline of psychology statutorily through the enactment of state and federal laws and regulations. In 1999, Dr. Pfeiffer was elected as a Distinguished Practitioner in the National Academies of Practice in Psychology. He was elected as a Fellow of APA’s Division of Professional Practice in 1999, an honor bestowed upon APA members who have shown evidence of unusual and outstanding contributions or performance in the field of psychology for which a national impact has been made beyond the local, state, or regional level. In 2001 Dr. Pfeiffer received the APA Division 42 Distinguished Public Service Award. In 2011, he was honored with the APA’s Education Advocacy Distinguished Service Award for his ardent and tenacious support of the psychology’s education and training community. Dr. Pfeiffer has been appointed as a Qualified Medical Evaluator by the State of California’s Department of Industrial Relations. Dr. Pfeiffer is very cognizant of the differentiation that must be made between his role as a psychotherapist and his role as an evaluator in medical-legal cases. This distinction carries with it important ramifications for informed consent or disclosure as well as the control and use of information obtained during the course of the evaluation. Unlike a therapeutic relationship, the forensic evaluation involves limited contact, an adversarial forum, an impartial stance, and a critical, evaluative style that includes reliance on collateral and corroborated information rather than mere assertions by the examinee. The content of the clinical forensic interview tends to be much more circumscribed as it is focused narrowly on information pertinent to the relevant psycho-legal question to be answered, and careful consideration must be given to the influence of multicultural factors at all stages of the evaluation process. Dr. Pfeiffer firmly believes that his participation in the legal forum must ensure that his performance meets not only the standards of general practice for the profession of psychology, but also those pertaining to the Specialty Guidelines for Forensic Psychologists promulgated by Division 41 of the American Psychological Association and the American Board of Forensic Psychology. It is equally important to have a thorough knowledge of professional statutory regulations and current legal standards upon which forensic testimony may be based.